Each of our offices is equipped with the latest in digital photography to aid in diagnosing corneal disease, contact lens related complications and assuring the accuracy of your contact lens fitting. The cornea is the clear window in front of the colored part of your eye. This tissue is clear because it has no blood vessels. It is the second largest concentration of clear tissue in the human body. The slightest disruption of the delicate balance of the cornea and the fluids that bathe it from nutritional deficiencies, age related changes, disease or traumatic injury, can result in a loss of clarity of this tissue and a reduction in visual acuity. Even subtle changes must be followed. Photo-documentation of the cornea is the most accurate way to monitor the vitality of this tissue. The cornea gets all its nutrition from oxygen which it obtains from the environment. A contact lens covers this tissue, acting as an insulator and slowing the flow of that nutrient. Oxygen deprivation is a common complication of soft contact lens wear. While the patient usually remains asymptomatic, subtle changes take place. At first the peripheral cornea is affected, but ultimately, compromises to this tissue will progress across the front of the eye. Lack of sufficient oxygen, called hypoxia, can lead to changes in the corneal tissue and ultimately to contact lens intolerance. 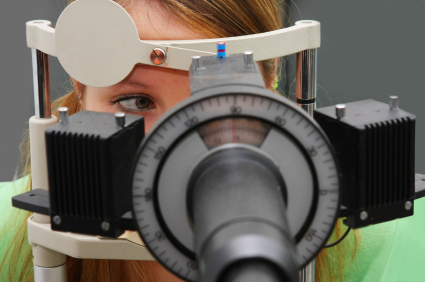 Your eyecare experts are contact lens specialists trained to examine your cornea and to assess its health. The visually oriented medical record is the most effective way to monitor any change.